Whether you are relocating to the Traverse City area, buying a home or here on a business trip, we have extended-stay hotel accommodations to suit every need. 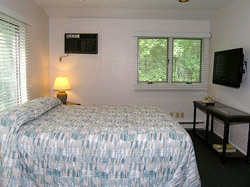 The Traverse Bay Inn is great for families or clients that are staying for any period of time. 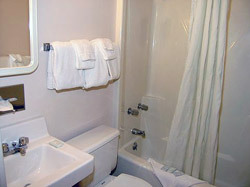 Check out our economical studios or European rooms for a great value in business or relocation travel. Our suites are ideal for business visits to Traverse City. Our convenient location and layout makes a one or two bedroom suite a great "office away from the office.” Those needed "extras" are no problem! The addition of a living area completes each suite, allowing you to relax or entertain clients in style. Our one and two bedroom family and executive suites have all the room you'll need—and all the comfort you want! Whether the extra bedroom is for your kids or a business partner, the spacious suites will be very enjoyable. 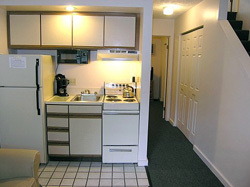 Kitchens are equipped with all the appliances (including microwave & Coffeemaker) and utensils needed for a midnight snack or complete meal. Call 800-968-2646 or e-mail jeff@traversebayinn.com for special Traverse Bay Inn corporate rates or to learn more about our extended-stay hotel accommodations.